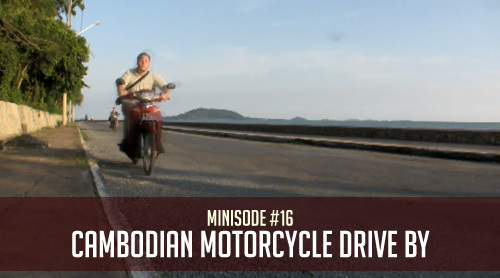 The two guys discover Cambodian countryside on motorbikes and find some monkeys. Liked how you used "Seven Lives" for the background music, worked really well with that. The quality of your videos seem to get better every time. Are you using final cut? Awesome job fellas. And way to cope with the jostling! That looks like quite a lot of fun and now I wanna try it out!